Qualified from the Royal Free Hospital in London in 1997 and enjoyed various hospital jobs in the South of England before moving to work at Stoke Mandeville Hospital, in various specialities for 3 years. 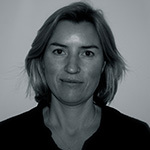 Anna started working as a GP in Long Crendon in 2002. She enjoys her role as a 'generalist' but have a special interest in Paediatrics and in Women's Health. Stuart has been a Partner at Unity Health since 1996. He graduated from the University of Glasgow in 1989.Clinically he has a particular interest in Diabetes and Dermatology. He performs minor surgical procedures and joint injections. He enjoys dealing with patients with long-term conditions where the issues and overlap are often complex. Qualified in 1998, joined the Practice initially as a GP trainee and then in September 2011 as a salaried doctor, becoming a partner in 2014. Special interests in diabetes, female and reproductive health and palliative care. Qualified in 1994 and joined the Practice in 1999. Special interests in psychological illness, health promotion and medical education. Michael is responsible for the training of GP registrars and as Associate GP Dean, for all GP training in Buckinghamshire. He is actively involved in the Royal College of GPs. Qualified in 1990 and joined the Practice in 1994, initially as a GP registrar and then in 1995 as a partner. Special interests in pharmacology, respiratory medicine and cardiovascular medicine. Qualified in 2000 and joined the Practice in 2007. Special interests in general medicine and paediatrics. 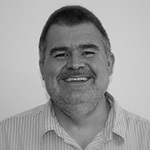 Martin qualified in 1997 and has been a Partner at Unity Health since 2009. Prior to that he trained as a surgeon mainly specialising in Ear Nose & Throat (ENT) surgery. His special interests are mainly ENT and respiratory problems but he is interested in all aspects of general practice. He is passionate about innovation and he is leading the Productive General Practice programme which is being implementing across the practice. James studied at the Royal Free Hospital in London, qualifying in 1997. James enjoys all aspects of General Practice with a particular interest in Paediatrics, Palliative Care, Cardiology, IT and Education. The Managing Partner, Lesley, is responsible for the management and innovative organisation of the Practice, aiming to provide an efficient and friendly service. Henrietta was previously a Partner at a GP practice in London for 8 years having moved to Buckinghamshire a few years ago. She is interested in all aspects of general practice. Tom graduated in 2011 from Norwich Medical School. He is a tutor for the University of Oxford and has a special interest in medical education and urgent care. Katrina qualified in 2012 from Dundee University Medical School and completed her GP training in Bucks. She has interests in all areas of genera practice, including medical education. Olivia qualified in 2007 at Nottingham University Medical School. GP training at St. George’s Hospital. Special Interests in women’s health and psychiatry. Amy qualified in 2006 from Bristol Medical School. She has a special interest in women’s health. Claire Qualified in 1992 and joined the Practice in 2014 as a salaried GP. Special interests in paediatrics and palliative care.